IO Interactive and Warner Bros. have pulled back the curtain on the first Elusive Target for the upcoming Hitman 2, and it's an actor that everyone seems to love to kill. 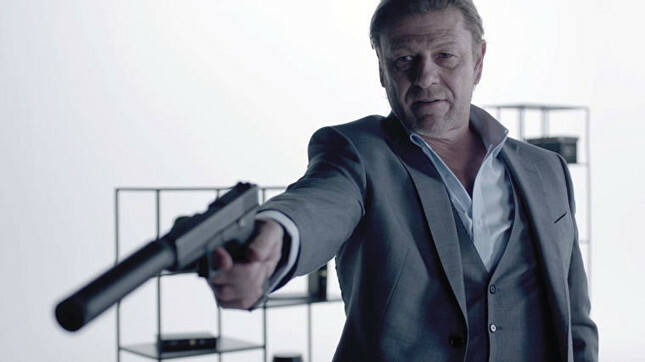 Sean Bean will star as disgraced MI5 agent, turned assassin for hire, Mark Faba. In a humorous bit of self-awareness, Bean's character aka "The Undying", is seen chatting to a suspiciously hairless therapist. Faba states "I never expected to be like this, but they keep trying to kill me, you know? I've cheated death countless times. I'm like a stage magician. I know all the tricks. They think they're clever, but they've got nothing on me. I even managed to make them think I'd been blown up." During the trailer, Faba boasts about how he's managed to elude death and is quite the seasoned killer himself. He goes on to show how he can use everyday items to dispatch his victims, like a toy robot flash bang, an explosive pen and a pair of curiously strong headphones. Players will be able to vote on which of these weapons will turn up in the game for them to use on unsuspecting targets. Elusive Target missions were introduced in the previous game and offer a one off chance for players to eliminate a high profile target. Last time we got to take out Gary Busey, so I'm excited to see what other celebrities make their way on to the kill list. Here's hoping Hitman 2's targets Trump the originals...hint, hint...make it happen IO. Pre-order Hitman 2, which launches on PlayStation 4, Xbox One & PC on November 13.